This is a pristine First Printing of the original edition published by Bergen Street Press. This is it. 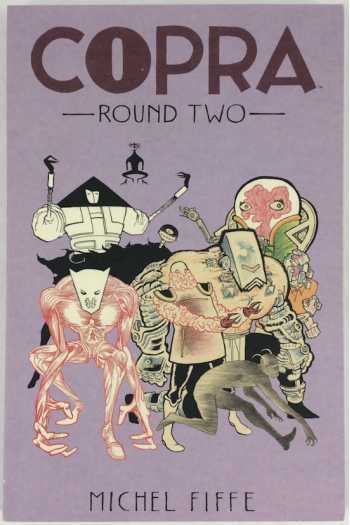 COPRA ROUND TWO: the second volume of Michel Fiffe's unmatched juggernaut of self-published violence. Collecting the sold-out issues 7-12 of the series for the first time, get ready to catch ahold of the comics sidewinder that ripped a hole in the side of the world. GENOCIDE AIN'T A PRETTY THING TO SEE. BUT THERE'S NO TIME TO MOURN WHEN YOUR FACE IS AT THE EDGE OF THE GUN. SCARRED, DESPERATE, AND ALONE, COPRA'S GONNA CLEAR THEIR NAME IN A BRUTAL RECKONING WITH THE FORCES THAT SCREWED THEM OVER AND SOLD THEM OUT. 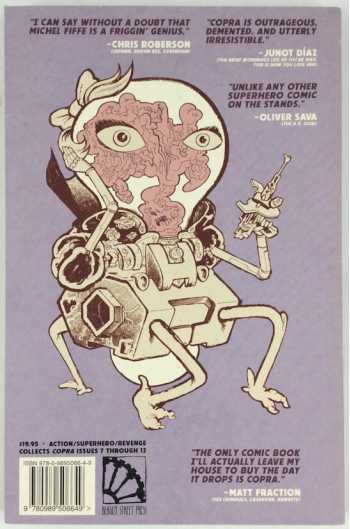 Michel Fiffe is the creator of the action series COPRA, published by Bergen Street Press, and the intimately surreal Zegas, collected by Fantagraphics. He's worked with Marvel, Valiant, and BOOM! 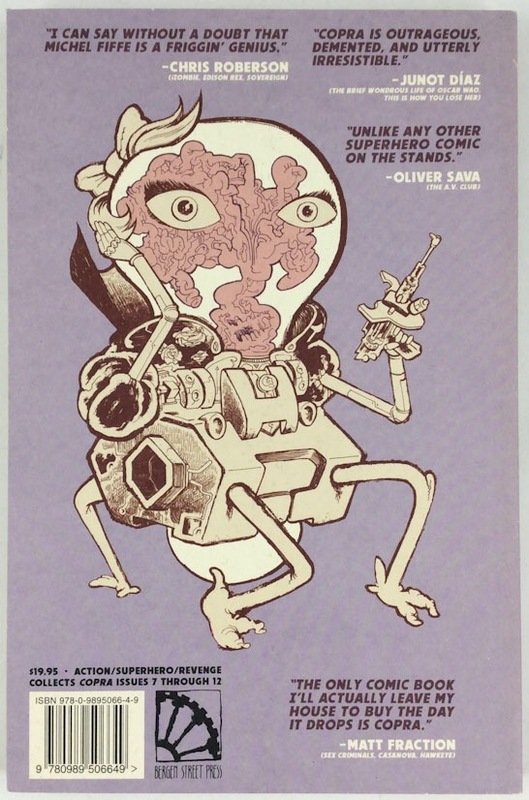 and continues to serialize COPRA when he's not writing massive essays on comics of note. Fiffe recently launched a new title Negativeland and produced the 3-issue mini-series Bloodstrike: Brutalists for Image Comics.